Lovely capture. It probably smells beautiful. that should smell sooooo good! Great shot. Love those herbs . 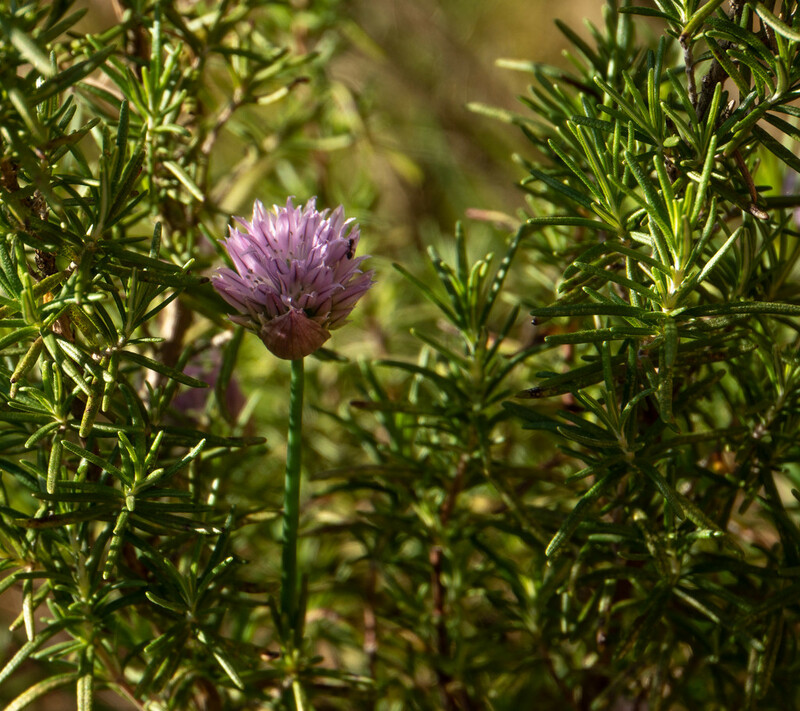 Chives and rosemary- sounds like the seasonings of a tasty recipe! Pretty shot. What a delightful image, and you've caught a little ant too.